Democrat and Republican incumbents in the Illinois primary won their contested races Tuesday, with Gov. Bruce Rauner (R) pulling off a narrow victory over his state legislator challenger. Businessman J.B. Pritzker also easily won the Democratic race. 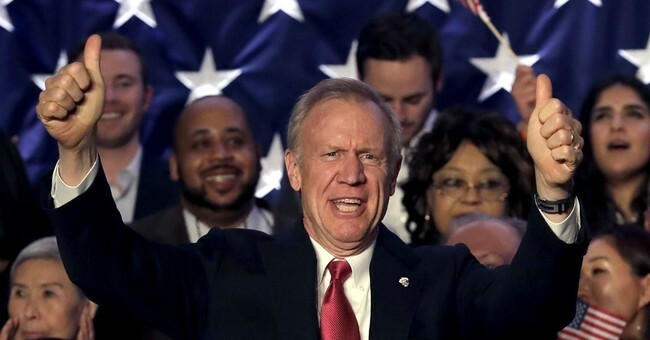 Rauner defeated state Rep. Jeanne Ives to secure the GOP nomination for a second term, pitting him against Pritzker this fall, a billionaire venture capitalist who won 46 percent of the vote in the Democratic primary to five other candidates. As for the congressional primary, conservative Democrat Rep. Dan Lipinski narrowly defeated progressive activist Marie Newman in the 3rd District, 50.9 percent to 49.1 percent. Uncontested GOP candidate Arthur Jones won the Republican primary, but the race is not competitive. Jones has also been strongly denounced by the party. “Arthur Jones is not a real Republican — he is a Nazi whose disgusting, bigoted views have no place in our nation’s discourse,” Tim Schneider, the Illinois Republican Party chairman, said in a statement, reports The New York Times. The GOP urged voters “to skip over his name when they go to the polls,” Schneider said.